Today I will do the best I can. I may try to squeeze in a nap between my scheduled activities. I didn’t push myself this morning to get to a few of the things on my calendar I wanted to attend. Why am I sharing this with you? Sugars like this could receive some judgment after all. I am sharing to give you this message. Never feel alone with your diabetes. We can all have very bad days sometimes. Diabetes can be very hard (like I have to tell you this) and challenge you to your core. A thought crossed my mind last night as my Dexcom alarm sounded yet another time waking me from my restful sleep. And as I opened one more fruit strip to treat my crummy feeling low. I thought about how much Grace we are given to deal with this stuff day in and day out. Truly I believe this. Without grace it could/would be all just too much, this diabetes gig. Face it. It can be a lot to handle. Diabetes and everything else. But somehow we do it. We get by and plug through another day. I’m thankful not every day and night are this bad. At times like this I just try to do the best I can emotionally and physically. Better days are ahead. You’ve got to keep believing that. Editor’s note (added on 9/10/12): This song has been in my head all evening. The song is called “Grace” and is by a local singer-songwriter named Ellis that tours nationally. I have had the pleasure of seeing her perform live many times – she is a favorite of mine. “Grace” came to my mind as I reflected on this post. Although I did not recall this song and it’s applicability at the time of publishing, I am sharing the lyrics here for you now as they are very beautiful and touching. I tried to find a video of the song for you but had no luck. I really don’t know how to use Facebook. I know I’m registered but that’s it. I found this Diabetes Light via Googling “diabetes”. I have had diabetes for a few years already. 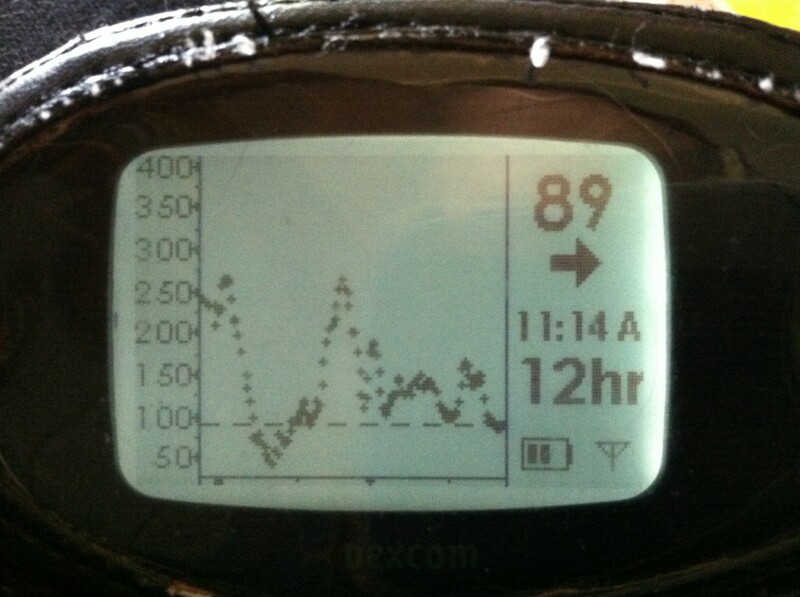 I’m having a lot of trouble controlling my diet and thus my blood sugar. I’m looking for a place where there is a grouplike atmosphere where I can get some advice and encouragement. Is this such a place? Maureen, I’m so glad you found Diabetes Light through googling diabetes! Please join our Facebook community at the link above. We do have a community where you can ask for advice and you will receive encouragement. Do you have Type 1 or Type 2 diabetes? I have a lot of healthy recipes here at Diabetes Light too! I hope you will check them out.